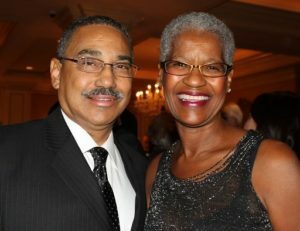 Eddie Newman serves on the PCF Board and brings with her a passion for education. Eddie, a retired educator, has dedicated her adult life to helping children receive the best possible education. Eddie grew up in Pasadena and attended John Muir High School. Soon after college, Eddie returned to work at Muir for the next 13 years as a counselor, a role she loved. Eddie was then promoted to Assistant Principal and four years later to Principal, a position she would excel at for the next eight years. Eddie had an incredible, positive impact on so many kids who attended Muir during her 30-year tenure. Many of those graduates still live in Pasadena and our community has benefited from all the amazing work she did at John Muir. Eddie and Ray Newman always believed in the importance of giving back to the community and they recently set up the Ray and Eddie Newman Endowment for Education with the Pasadena Community Foundation. They have confidence the Foundation will select educational organizations and programs that will have an impact on academic achievement and opportunities for Pasadena’s youth. Ray is an attorney and Eddie has launched a second career in real estate. They remain active in many community organizations and are enjoying time with their young grandchildren.